I received two products from Live Clean to try out. Their Coconut Milk Body Wash and Coconut Milk Liquid Hand Soap. First, I need to tell you a little bit about Live Clean the company. With a healthy respect for the environment, Live Clean products are made with 98% renewable and sustainable plant based ingredients. Live Clean preserves the beauty of the planet by working with suppliers to minimize the environmental footprint. Their products are made using certified organic extracts derived from beautifying botanicals including rosemary, lavender and chamomile. Every little bit counts a lot. Live Clean takes great care to source local ingredients as much as possible and to use recyclable packaging as much as possible to reduce their ecological footprint. They never, ever test on animals. 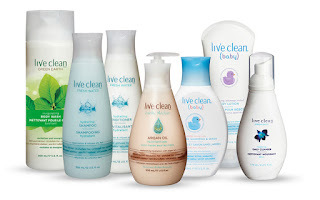 Live Clean uses responsible practices, they believe in embracing beauty in life and in living cruelty free. They are a proud member of the Leaping Bunny Organization. 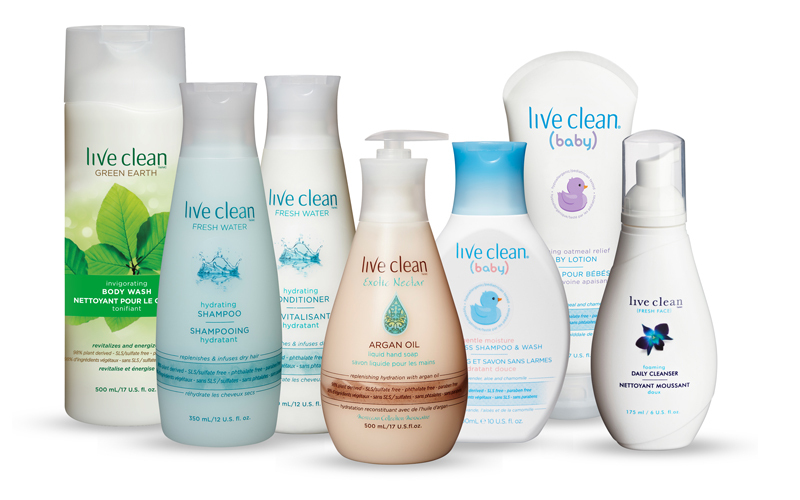 Live Clean products are free of harsh chemicals. There are no sulfates, phthalates, silicones, parabens, phosphates, no petroleum by products, no DEA, and no dyes in any of their products. Live Clean Coconut Milk Body Wash is moisturizing, it restores moisture balance to the skin as it gently cleanses the skin and it hydrates the skin and provides luster to the skin. It features luscious coconut milk from the tropics and apricot oil. The body wash is enriched with Vitamins C, E and B to deeply care for the skin and improve its overall softness and beauty. It also contains panthenol, which is soothing and healing for the skin. I love the way this smells. It has that tropical coconut smell that is delicious. It reminds me of summer. And it really does leave skin soft and moisturized. Which is great for a natural body wash, with the great ingredients it has. Live Clean Coconut Milk Liquid Hand Soap gently cleanses the hands while hydrating the skin and helping to restore the moisture balance to dry, cracked hands and luster to dry skin. It features luscious coconut milk and apricot oil to nourish and hydrate the skin. It is also enriched with Vitamins C, E and B to deeply care for hands and improve their natural beauty. Take it from someone who washes their hands a lot every day, liquid hand soap needs ingredients like these to help keep hands from cracking and peeling. When washed frequently, the natural moisture barrier disappears and hands are left undefended to be dry, scaly, peeling, cracked, etc. It's not a pretty sight. So treat yourself to liquid hand soap that will be good for you. This one is not that much and it is very good. I happen to love this liquid soap. I think it is one of the best I have tried. Live Clean is available online at www.amazon.com. To find Live Clean in a store near you, check our their store locator: https://us.live-clean.com/en/where-to-buy/. Like Live Clean on Facebook: https://www.facebook.com/liveclean.usa/; Follow Live Clean on Pinterest:https://www.pinterest.com/LiveCleanUSA/ and Follow Live Clean on Instagram: https://www.instagram.com/livecleanusa/.